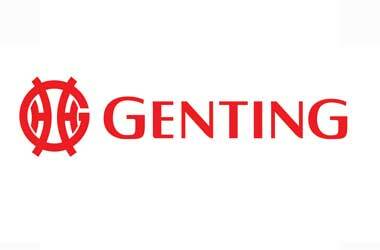 Genting which has a major presence in the global gambling market has declared its financial results for the second quarter of the year, posting a 334 percent increase in net profit year-on-year. The group saw net profit of 294.7 million ringgit ($73.25 million) for the quarter ending in June as a result of strong performance in its plantation and leisure businesses. According to the filing made by the company with Bursa Malaysia, the country’s stock market, Genting had a growth of 1.4 percent in revenue over the same period last year reaching 4.23 billion ringgit. The casino business is the major contributor to the group’s revenue generating almost 86 percent of overall revenue. The casino arm of the business once again performed well during the second quarter and witnessed an increase of 4 percent, amounting to 3.62 billion ringgit. The company’s business in Singapore has also done well with the Resorts World Sentosa putting in a strong performance during the second quarter. The Sentosa resort generates nearly 39 percent of overall casino revenue for the group, making it the biggest contributor amongst all of the other Genting casinos. However, the Singapore division saw a decline of 10 percent primarily attributed to a low win rate in its VIP gaming segment. The casino’s revenue for the second quarter was 1.4 billion ringgit. We believe the group's earnings growth momentum would depend on the speed of recovery in consumer sentiment and commodity prices. The lower revenue from Sentosa was however set off by gains made by Genting casinos in other regions. Casinos run by Genting in Malaysia posted revenue of 55.3 million ringgit, a rise of 4 percent last year. Revenue from casinos in UK stood at 208.8 million ringgit, which was an increase of 71 percent over last year while revenue from operations in U.S. and the Bahamas went up by 13 percent to 40.7 million ringgit. Genting said that the increase in revenue was largely due to larger contribution from VIP players, better marketing and rising business volume. For the first half of 2016, total revenue for the group went up 5 percent on the back of 59 percent increase in the UK’s casino operations which had revenue of 1 billion ringgit as well as a hike of 42 percent in revenues from its power operations which was 558.4 million ringgit.